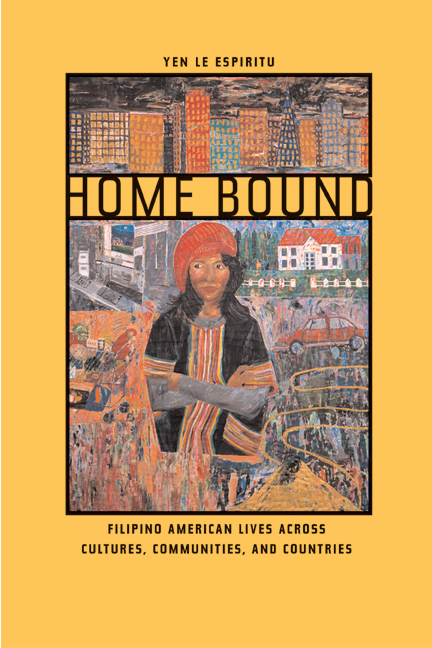 Filipino Americans, who experience life in the United States as immigrants, colonized nationals, and racial minorities, have been little studied, though they are one of our largest immigrant groups. Based on her in-depth interviews with more than one hundred Filipinos in San Diego, California, Yen Le Espiritu investigates how Filipino women and men are transformed through the experience of migration, and how they in turn remake the social world around them. Her sensitive analysis reveals that Filipino Americans confront U.S. domestic racism and global power structures by living transnational lives that are shaped as much by literal and symbolic ties to the Philippines as they are by social, economic, and political realities in the United States. 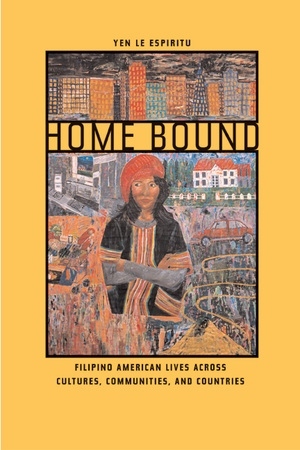 Espiritu deftly weaves vivid first-person narratives with larger social and historical contexts as she discovers the meaning of home, community, gender, and intergenerational relations among Filipinos. Among other topics, she explores the ways that female sexuality is defined in contradistinction to American mores and shows how this process becomes a way of opposing racial subjugation in this country. She also examines how Filipinos have integrated themselves into the American workplace and looks closely at the effects of colonialism. Yen Le Espiritu is Professor of Ethnic Studies at the University of California, San Diego. She is the author of, most recently, Asian American Women and Men: Labor, Laws, and Love (1997).